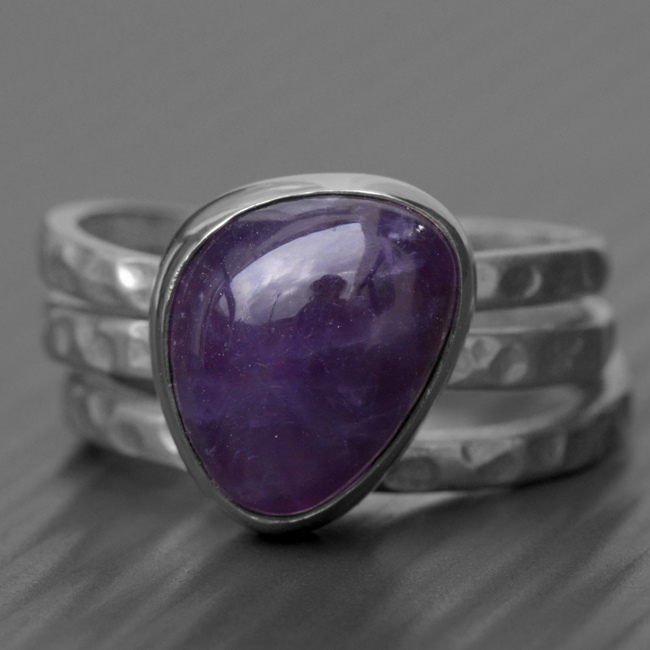 This stunning Amethyst ring is handmade using sterling silver. 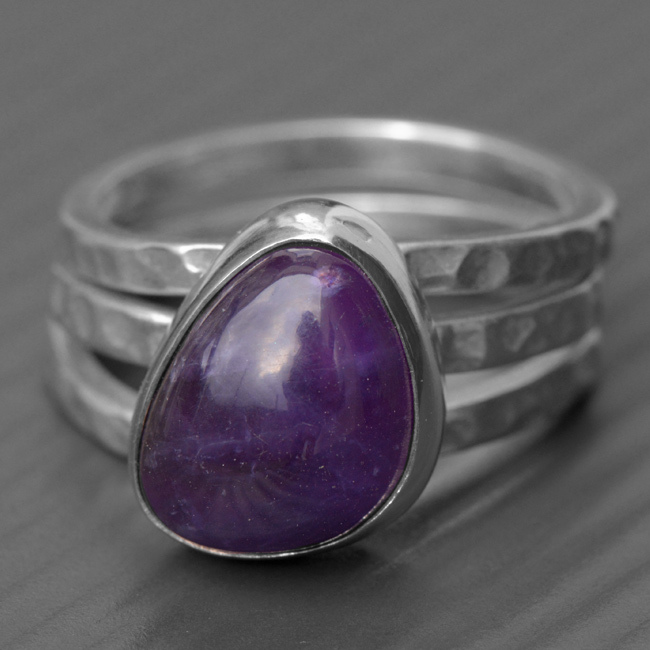 A hand cut odd shaped Amethyst is the hero of the piece, which is inset in a silver bezel and rests on a gorgeous textured sterling silver ring. It also sits between two hammered textured bands. This ring is more organic in design with its hammered and oddly shaped bands. The band has been delicately textured and finished with a gorgeous flowing edge. Available in any gemstone. SKU: N/A. Availability: In stock Size: 45 × 60 cm Shipping Weight: 0.3 kg Categories: All Jewellery, Rings, Ring, For Woman, Collections, Birthstones. 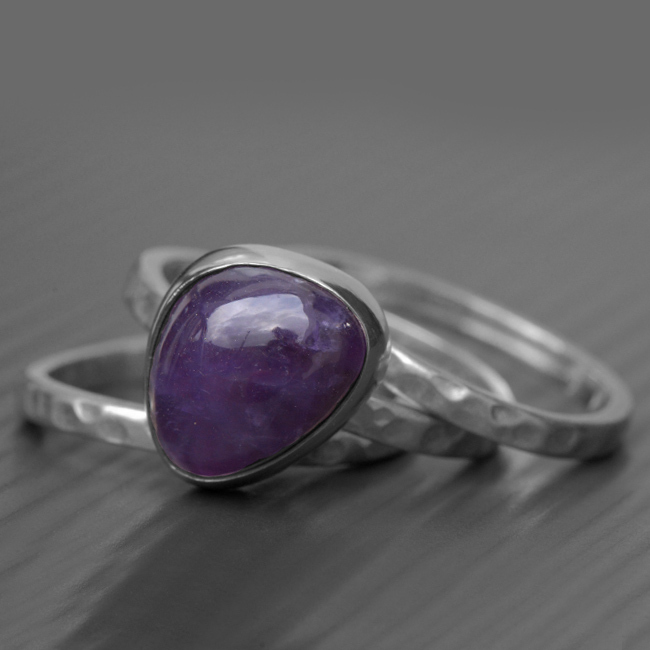 Tags: amethyst, bespoke, bespoke silver, birthstone ring, commission, engagement ring, gemstone, handmade, handmade silver, jewellery designer, jewellery maker., organic, ring.